In order to celebrate our conversion to become a Community Interest Company, we want to use this Summer to make some very special offers to work with specific sectors. Over the next three months, we’re going to offer a few organisations, in different sectors, the chance to use our Risk Tracker client management system. For June we are focussing on Housing Associations. 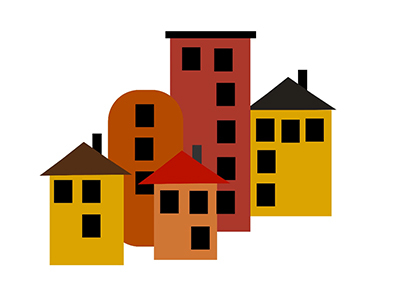 We recognise that Housing Associations have a profound impact on improving health and wellbeing but sometimes have difficulty demonstrating this in a way that gives them access to Public Health and NHS funding. We created our Supported Housing Risk Map to highlight the issues that people who work in housing identified as the core issues they help people with. Using this map, Housing Associations can demonstrate the impact they have in line with the Public Health and NHS Outcomes frameworks; providing them with the information they need to successfully bid for new funding. Risk Tracker is the only client management system that is built around assessing the whole person and demonstrating the link between your work and national policy & outcomes. Who would this offer suit? Ideally, we would like to make this offer to small Housing Associations that work face to face with individuals to help them maintain their tenancies. We want to provide the opportunity to the sort of organisation that haven’t previously thought of using this type of system to manage and prove the impact of their work. We would also like to get the three organisations that take up this offer to work together to share their experience and help us to shape this system to work in the way that best suits you. We are committed to Open Source software development which means that our systems are evolving all of the time. We want to work with you to shape a system that meets all of your needs. If you would like to talk to us about how we can make this work for your Housing Association then you can email us at info@insideoutcomes.co.uk or use our contact form. You can find out more about the Risk Tracker system here or watch the video below.